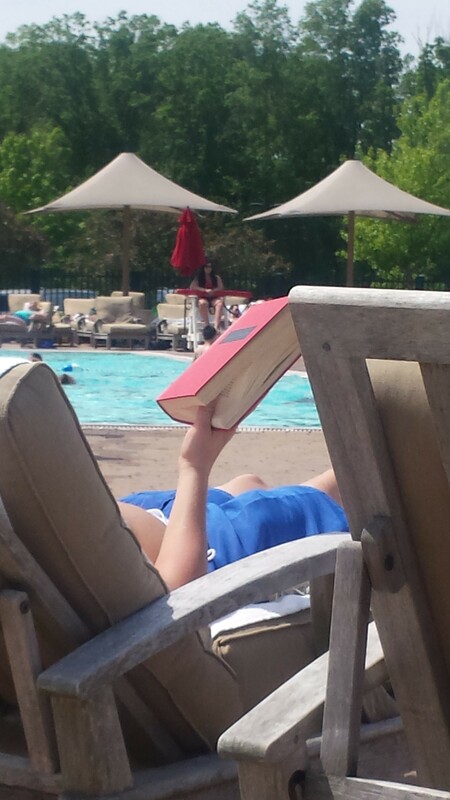 My first-row neighbor had a hard-bound, red-covered tome in his hands that sparked my interest; it’s not the kind of book that one ordinarily would spot at the pool. I lacked the necessary motivation to ask my lounge chair neighbor about his book or why he was reading it. So, instead, after enough covert observation, I caught a glimpse of the spine — Their Finest Hour — and eventually the cover, which bore Winston Churchill’s signature. It turns out that this reader may actually have been combining his poolside relaxation with sober reflection. I investigated, and the book pictured above was the book-of-the month edition published by Houghton Mifflin in 1949, the second in a six-volume series, The Second World War, written by Churchill between 1948 and 1954. Setting aside the history of war and political intrigue that it tells, the story of the books’ creation is itself fascinating. Churchill was awarded the Nobel Prize for literature in 1953 as a result of his efforts; those efforts were not without controversy. It seems that Churchill began contemplating, and perhaps even composing (in the form of personal notes and memoranda), what came to be the book series even while the war still raged, and he certainly took advantage of his political position (including access to state records) to work on the book after the war ended. The whole thing has a bothersome self-serving circularity to it. Churchill, one of the most significant historical figures of World War II, was simultaneously a subject of the history that he was planning on writing. What does it mean when a subject is in control of the narrative of which he is a part? And what does it mean when he later has the opportunity to tell (or re-tell) the story? How reliable is it? This could apply to any significant political figure or leader; can’t you picture President Obama or Hillary Clinton or John McCain making mental notes about their decisions and thinking, “Yep, today definitely belongs in Chapter 42; at least worth a footnote”? Because Churchill was busy serving as prime minister during part of this creative period, much of the writing was done by others. According to a NY Times book review, Churchill relied “heavily on a bevy” of researchers and first-draft writers known by a rather Bondesqe, British-secret-government-agency type of name: “The Syndicate” (which included two retired generals, a former naval officer and an Oxford historian). Under Britain’s confiscatory tax regime, Churchill would have owed 97.5 percent of his royalties to the state. . . . To get around this obstacle, his lawyers came up with a dodge worthy of Enron: Churchill would donate his papers to a trust run by his friends and family, which would sell them to publishers for a handsome sum without any tax liability and provide the proceeds for Churchill to live on. According to the New York Times book review quoted above (reviewing a 2005 book about Churchill’s writing process), Churchill would have cleared about $18 million in today’s money under this scheme. A lucrative way of remembering the fallen. Today, this edition is available on Amazon for as little as $.03. “It’s about Irish immigrants in New York, set in the 1800s around the time of the potato famine. They went through a lot,” she explained solemnly. She also told me that she is a big fan of anything about New York City. She grew up, however, in South Dakota, which might explain why she was so nice. On Amazon, the book has excellent user ratings: 4 1/2 stars out of 5. 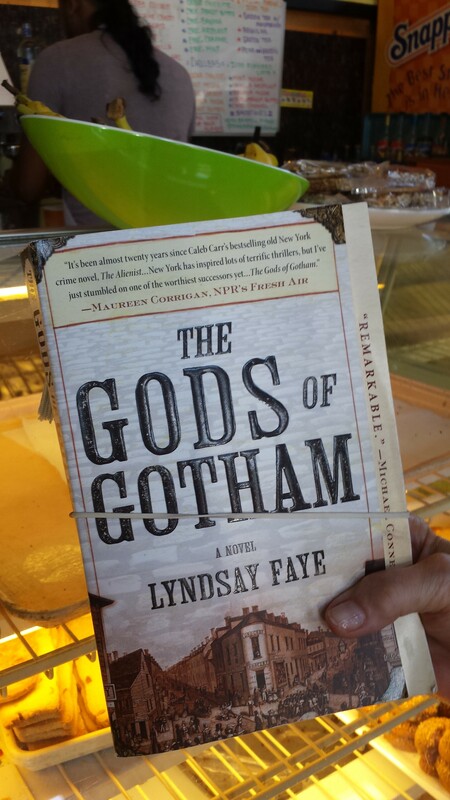 Based on the description of the book, however, it’s rather grim and gruesome: it follows a bartender who joins the newly-formed NYPD and encounters violence inspired by anti-Irish sentiment. Based on the reviews, the book is well-researched but this also weighs it down with too much unnecessary detail (as a two-star reviewer put it, “ham-fisted use of excellent research”). 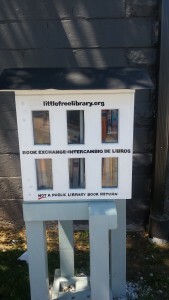 By January of 2015, the total number of registered Little Free Libraries in the world was conservatively estimated to be nearly 25,000, with thousands more being built. The website has a map that allows you to search for LFL’s nearby, but nothing is quite within reach — yet. I want one near me! Perhaps this will be my project for the summer. I would happily keep it stocked with worthy volumes. It’s a wonderful way to connect with other readers, even if you never meet them in person. Kind of like a blog. Mission accomplished: At the Flemington LFL, my small daughter was happy to find a paperback copy of “Arthur’s Eyes” and has read it to herself and to an even smaller friend several times already since we found the LFL yesterday. 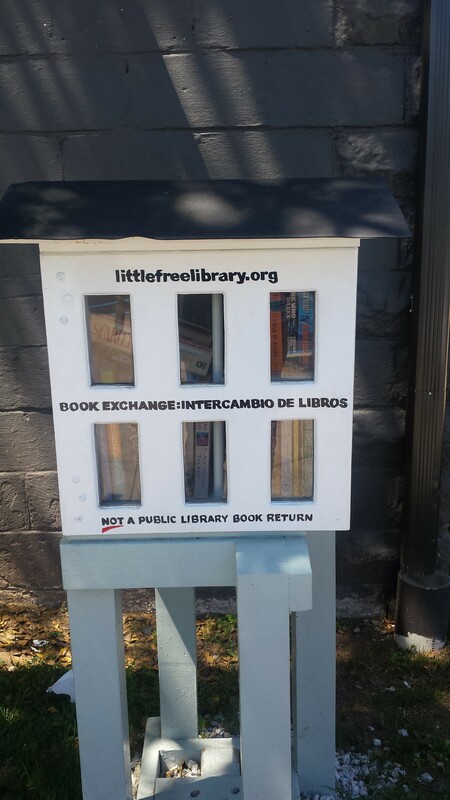 The same goals could be implemented on an even smaller scale: maybe it’s as simple as starting a LFL-like book exchange at my workplace. We sure need a bit of fun there. I have seen similar free book depositories at the local post office, the train station, and Starbucks. Do you have anything similar in your world? Are they worth perusing? It has been a while. A shamefully long while, but other intellectual and career-related pursuits have kept me busy since August, and frankly, I haven’t been out much to try to catch people reading books. Fortunately for the world, the Instagram account Hot Dudes Reading takes checking out other people’s books to another level. It collects images of “hot dudes” reading books — actual books, not electronic devices — in public spaces, mostly subway trains. The account is a good bit of fun. Let’s face it: Hot Dudes Reading is more about the dudes than the reading. The core question for bibliovoyeurs, thus, remains unanswered: What are they reading? Why? Hot Dudes Reading only hints at that spark of interest generated when a book is in the hands of a stranger — the spark triggered by what is essentially a romance between the reader and the book: How did they come to be together? How long have they been together? Are they together for the right reasons? Will they make it [to the end of the book]? Still, Hot Dudes Reading is a lot of fun, fueled by the creativity of its author(s) and the brief but vividly-imagined and hilarious captions accompanying the photos — which occasionally incorporate references to the actual book. Consider it a bit of a candy snack to keep you sated between nutritious and filling posts by this beleaguered Biblio. A hot dude reading. 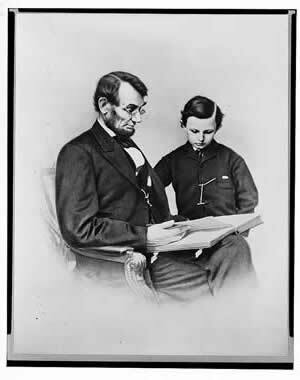 You can rest your stovepipe hat on my bookshelf anytime.